3 Pound Lane01263 715779work01603 870304fax Self-catering3 Pound Lane is an attractive mid terrace property just a short walk from the bustling markey town of Aylsham, recently refurbished to provide an ideal family holiday home. Luxuries: Flatscreen TV, Sky basic, DVD player, CD player. 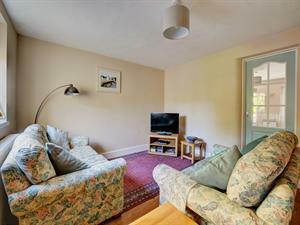 Rooms: 2 Bedrooms, 1 Bathroom, 1 kitchen/dining room, 2 sitting rooms, 1 cloakroom. Other: Towels. Books and games. Travel Cot. Outdoors: Fully enclosed garden with lawn, patio, barbecue, table and chairs. Access: Driveway for one small car. 3 Pound Lane is an attractive mid terrace property just a short walk from the bustling markey town of Aylsham, recently refurbished to provide an ideal family holiday home.